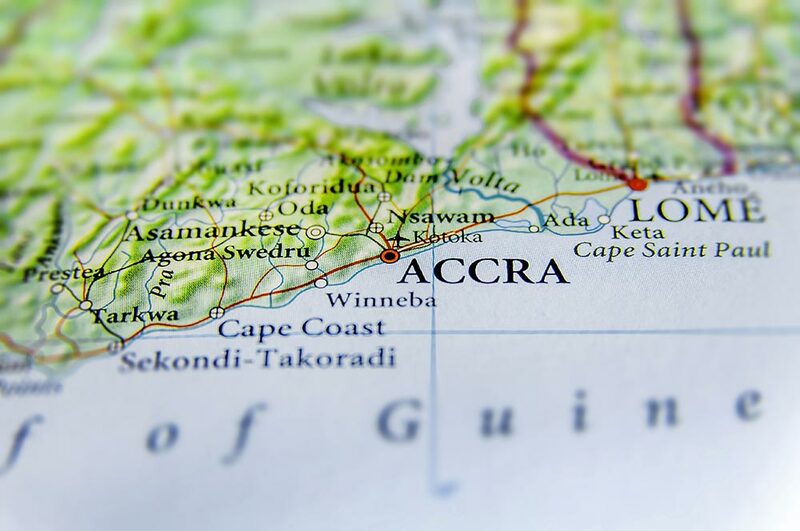 Located in the west of the African continent, Accra, stretched along the Atlantic Ocean, is one of the largest, most diverse and frequently visited cities of Ghana. Even though the population of Accra is highest, it is the least poor city in Ghana. Visiting Accra is less about sight-seeing popular landmarks and more about immersive experience of the rich culture and heritage. The hospitality of Ghanaian people needs no introduction and became my main reason to visit Accra again. Though my trip there was a really good experience, getting the cheapest flights to Accra can be really tricky unless start looking for online tickets at least a few months before you plan to take your trip. Ghana’s capital speaks for the beauty of the third world country with the gleaming beaches, harbors, colonial buildings, museums, libraries, monuments, galleries, art, food, music, nightlife, and cultural and traditional markets that is famous for textile. Accra stands with a mix and match of both colonial history and cool modern skyscrapers. Jamestown is one of the oldest districts of Accra that originated around 17th-century British James Fort as a community. Though most old towns around the globe are well-looked-after and attract tourists, Jamestown is among the ignored and poorer ones. The town is made of colonial buildings, small board houses and cottages – all disheveled and it’s sad to see how no effort been made to preserve them. For a panorama view of the town and the beautiful fishing harbor, climb at the top of the famous whitewashed lighthouse on the Cleland Road. The fishing harbor has boats painted in beautiful colors, filled with fresh fish. Among some of the common fish caught are mackerel, flounder, and squid etc. People at the harbor both buy as well as barter their catches. Oh, and if you’re into boxing, you’re in for a treat because Jamestown is full of it! 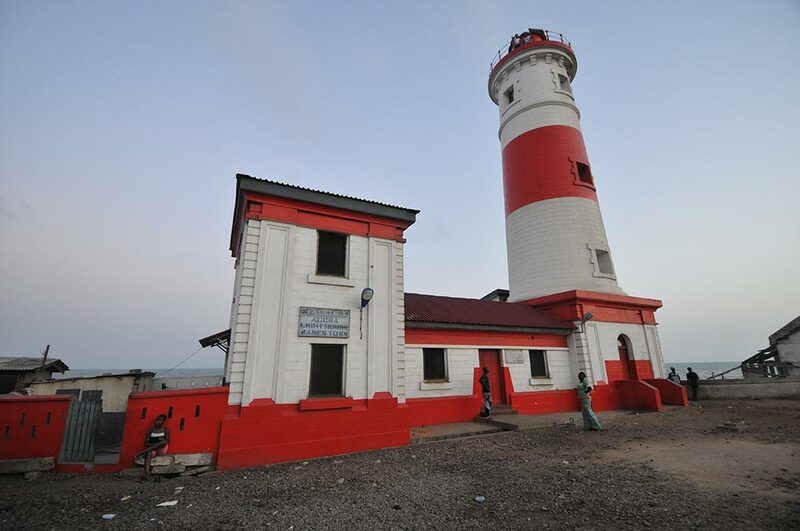 Accra is known for its love for music and art and electric nightlife. 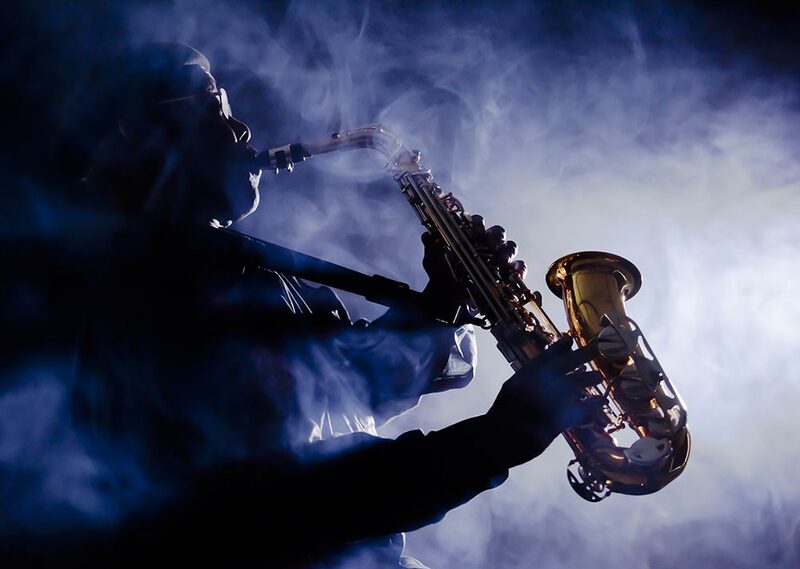 Jazz is a thing in Accra and anyone who knows music will appreciate +233, a jazz club formerly known as Bassline. Every tourist visiting Accra wants to enjoy highlife, blues, and jazz while sipping on a drink, enjoying snacks and grills in the intelligently designed bar. The club has two floors and the band plays on the stage downstairs, however, they can also be seen from the halo-like stairs on the first floor. There’s only one entrance to the club but there are places to sit outside as well to see through the glass door. The club is usually full because it is the most famous and the hands down the best place to see and enjoy live music in Accra. The band plays six days a week, with always an audience in awe. Apart from music, another great thing that has its roots embedded in the cultures and traditions of Ghanaian people is art, theater plays, and drama. 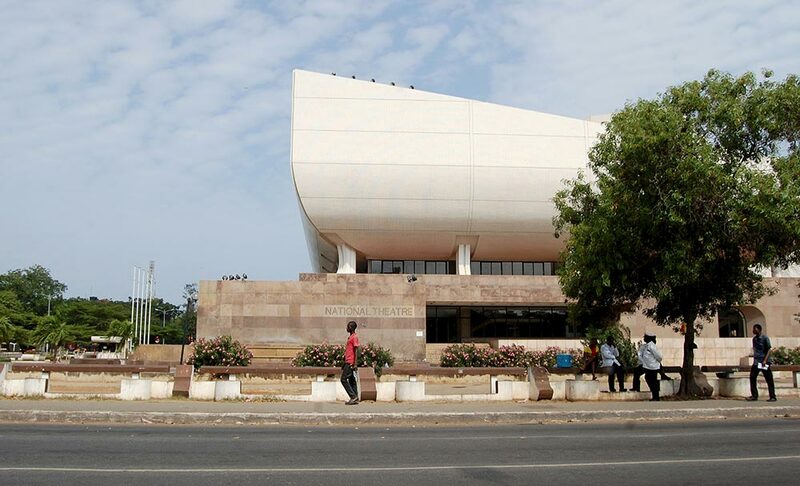 The National Theater in Accra, built by China in 1992. It stands in the Victoriaborg district and it represents Accra as the Opera House represents Sydney. The structure and design of the theater, which is in the shape of a ship sailing through the warmth of the city makes it stand out and a must visit for every tourist. The National Theatre Player, the National Symphony Orchestra and the National Dance Company make up the theater. 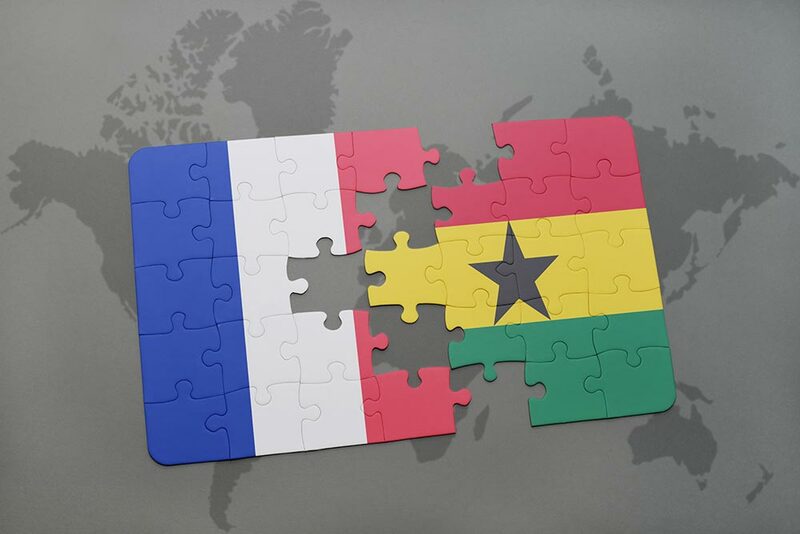 Based in Accra, Alliance Française d’Accra is the French cultural center that focuses on the blend of French and Ghanaian art and cultures. Artists from both nations come together for a display of a wide variety of artistic activities almost every week. The activities are mostly related to art exhibitions, live music sessions and events, band performances that changes every month, and artists talking about the inspiration behind their works. The beautiful thing about it is the bond between two very different cultures in terms of languages, currency, what they eat and wear and almost everything and how they are working together to create awareness, their emphasis being education and art. There’s always something exciting and interesting going on in the cultural center, so always look up for the up-coming different events on their website before you start on your trip. There’s never a doubt that you might have seen the same thing on your last trip! 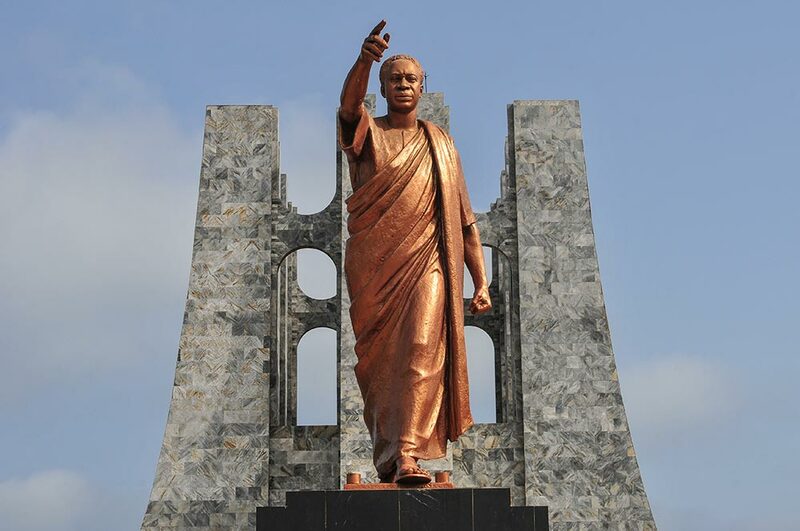 The Kwame Nkrumah Mausoleum and memorial park were designed by Don Arthur and represent the Ghanaian leader of the same name. The Mausoleum is surrounded by a water body which represents and symbolizes that Nkrumah lives in the heart of Accra and therefore Ghana. The structure of the tomb is meant to be an upside sword which represents peace. 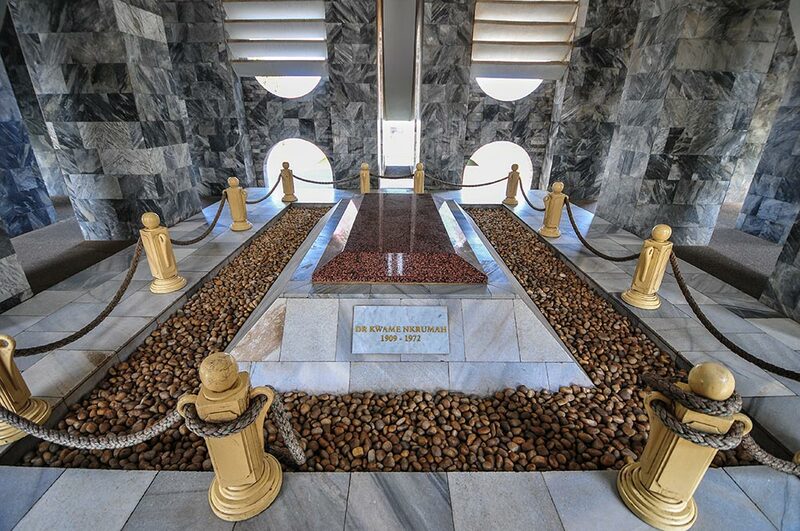 The interior of the tomb houses the bodies of Dr. Kwame Nkrumah and his wife Fathia Nkrumah. The floors are beautiful marble and the graves are surrounded by shiny rocks from the river. Accra is known for its colorful textile and used or second-hand clothing markets. 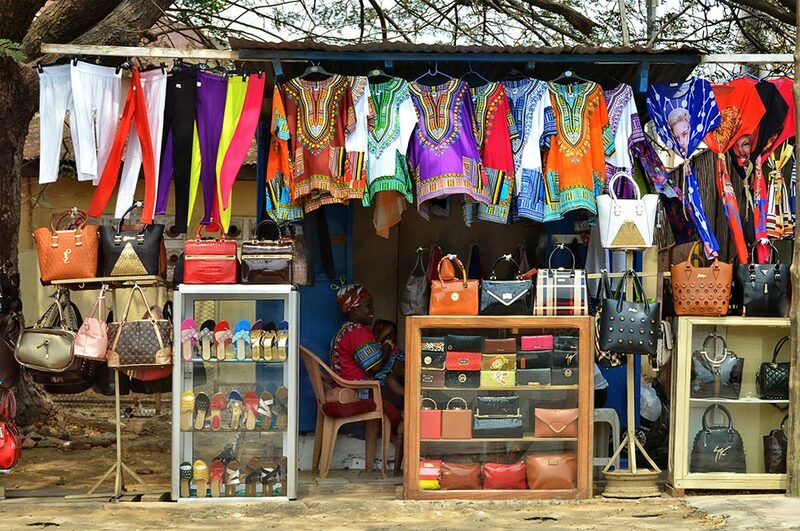 Located inside the Makola Market, Kantamanto is the largest trading point in all of Accra. The markets have the tendency to look like a maze with narrow rows that runs between the keen sellers that display their wares and call out and cluster down potential customers. The second-hand items have men and women’s clothing item sections. Vendors have their stalls lined up displaying expensive women’s handbags, shoes, jeans, skirts, shoes, dresses as well as cosmetics. The men’s section is not that huge and you’ll have to go through some streets of the maze to reach an amazing collection of tee shirts, jeans, belts, shoes as well as suits all heaped up together. Apart from clothing items, the noisy and colorful markets of Accra also sells children’s toys, furniture, bed sheets and other household items in rows, racks, and shelves of the marketplace. 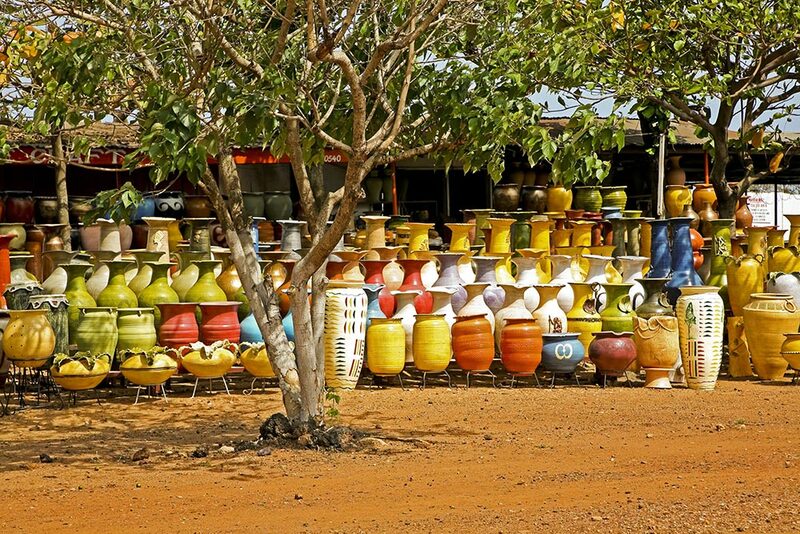 The market is also a hub of beautiful handmade pottery. Apart from Kantamanto, there is Kanashie market that is similar to Makola with its arrays of shops, stalls, marts, and vendors. Another great market to visit while you’re in Accra is AACD African Market that is located in a building and is less chaotic than the other markets. 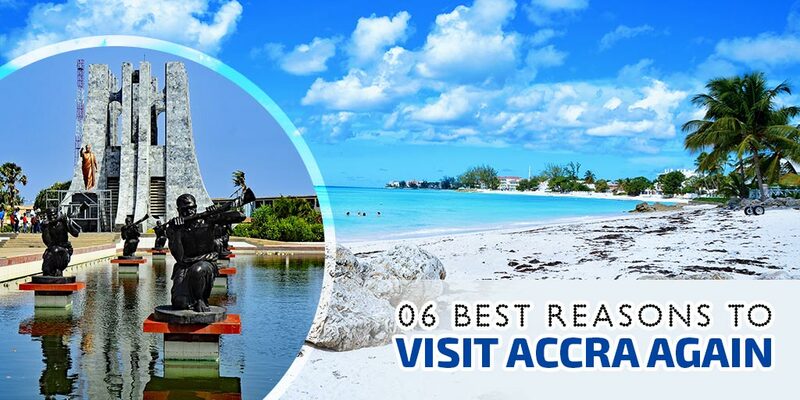 If you haven’t visited AACD on your last trip, it should be on your list for this one. Though the price is fixed, there are some great clothing items and must-buy jewelry here!